Now that Avengers: Infinity War is out it’s time to focus on the next big blockbuster movie and that’s Deadpool 2. 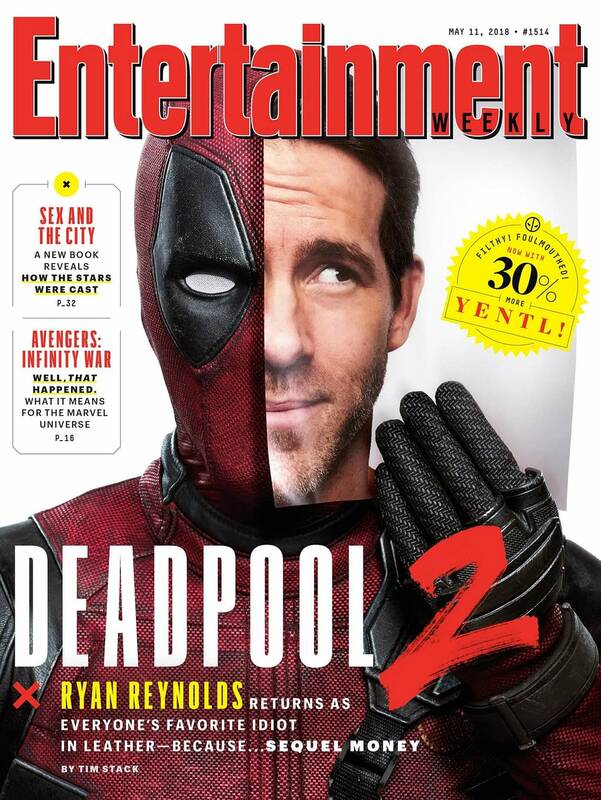 The Merc with a Mouth is on the cover of this months Entertainment Weekly and the entire production team spoke to the magazine about the production. Deadpool was infamously a movie that stuck in development hell with star Ryan Reynolds passion being the main reason it ever got made in the first place. Producer Simon Kinberg reinterates that Reynolds is the man who makes this character so appealing. While the first movie was stuck in development hell this sequel hasn’t been smooth sailing either. Director David Leitch had to take over the movie after Tim Miller, who directed the first movie, stepped away. Unlike most superheroes Deadpool’s costume didn’t get an upgrade between movies and if Reynolds wanted to do something as simple as going to the bathroom it was no easy task. No zipper for Deadpool. We can expect to see more about Deadpool 2 in these final weeks leading up to the big release of the sequel.